Choose Anco Insurance and you will experience true personal service. We will help you evaluate quotes for personal insurance packages or a custom business insurance solution. If you experience a loss, we will be at your side during the claims process. Through coverage reviews we will keep your insurance plan in alignment with your changing situation. We know you’ve worked hard to get where you are today, and want to help you find the right protection for your family and your future. Contact one of our five Texas locations for competitive quotes on house insurance, auto insurance or commercial insurance. As independent agents, we can help you select coverage from a wide variety of top insurance companies. 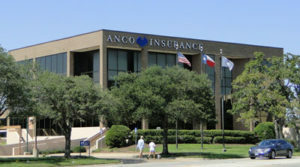 Founded in 1873, Anco Insurance originally served farmers and ranchers in the Brazos Valley. Today, from offices in Bryan-College Station, Austin, Houston, Livingston and Waco, TX, we provide Peace of Mind to families and business owners alike. Learn more about our quote offers by filling out our general form or by choosing a specific form from the list here. You may also call us at 800-749-1733 for personal assistance.